When she sees a space, Joanna sees possibilities. 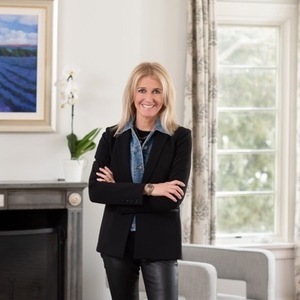 Her love for creating unique and sophisticated environments, coupled with an in-depth knowledge of the North Shore/Chicago area, inspires her approach to real estate. Joanna has bought and sold residential real estate properties across the country, on the East Coast, in the South, and most recently the North Shore and downtown Chicago. Through her experience, she has honed a very instinctual understanding of the market, along with a diverse network of personal and professional associations that enable her to deliver a unique brand of client service. Prior to joining the Coco & April Real Estate Group at Compass, Joanna ran her own business designing and producing custom jewelry and a parallel business focused on interior design. Prior to that she worked for internet companies engaged in business development and strategic alliances. These experiences have helped prepare Joanna for a successful career selling real estate by channeling her creativity, customer focus and business skills. This makes her a perfect fit for a design focused company like Compass. With her background in design, Joanna can also provide staging and design advice, adding further value to the transaction. Her goal is always to find a home to suit the dreams, needs, and tastes of a buyer or renter and, conversely, finding the perfect price and buyer for the seller. Having raised two children on the North Shore, Joanna brings to her work a wealth of knowledge about the area and the needs of young and growing families. She lived in Kenilworth for many years and, after her daughters went to college, moved down to the city. This gives her a unique perspective of not only life on the North Shore, but how that market relates to the city for buyers interested in making the move downtown.